Attention Big Apple hockey heads: Want to know where to join a league, play a pick-up game, or get your blades sharpened? Where to grab some grub before heading to the rink or where to find a post-skate brew? 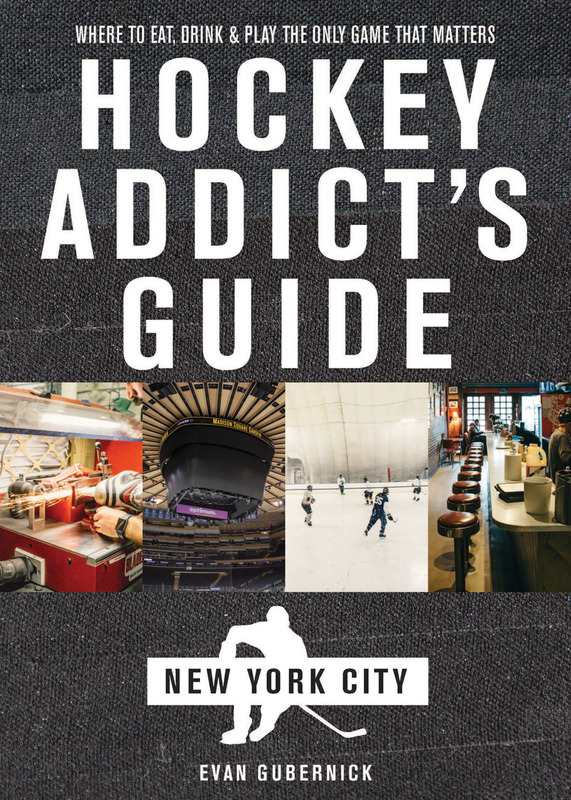 In The Hockey Addict’s Guide New York City , Brooklyn-based beer leaguer Evan Gubernick highlights NYC’s best hockey hubs, along with the go-to spots nearby. The local hockey community chimes in, from rink rats to pros, and takes readers beyond Madison Square Garden to discover the best sports memorabilia, pro shops, sneaker boutiques, and more. Whether you’re a New Yorker or a tourist, this is a top-shelf guide to the five boroughs—on the ice and off. Evan Gubernick is the author of Hockey Addict's Guide New York City; founder of SnipetownNYC, a magazine devoted to the hockey subculture of New York City; and creative director of 485 Creative. He lives in Brooklyn, NY.